Obituary for Paul-Emile Lavigne | Hillside Funeral Services Ltd.
Lavigne, Paul-Emile – After a long and courageous battle with Lewy Body Dementia, Paul’s family announces his passing on Saturday September 8th, 2018 at the age of 65 years. Paul was the son of Helene (nee Vezina) and the late Heribert Lavigne. Beloved husband of 46 years of Jo-Anne (nee Fournier). Loving father of Melanie Yeates (Todd) and David (Sabrina). He will be sadly missed by his 3 grandchildren Rebecca (Chad), Taylor & Kaelyn. Paul was looking forward to meeting his great granddaughter due in a few weeks. Also survived by his siblings: Joe (Gale), Diane (Marty), Marie (Ron), Fred (Rini), Cecile, Jean (Julie) & Luc (Yayuk), his sisters-in-law Lizette Lahaie (Richard) & Madeleine Girard (Yvon), as well as many nieces, nephews and friends. Also predeceased by his brother Pierre. 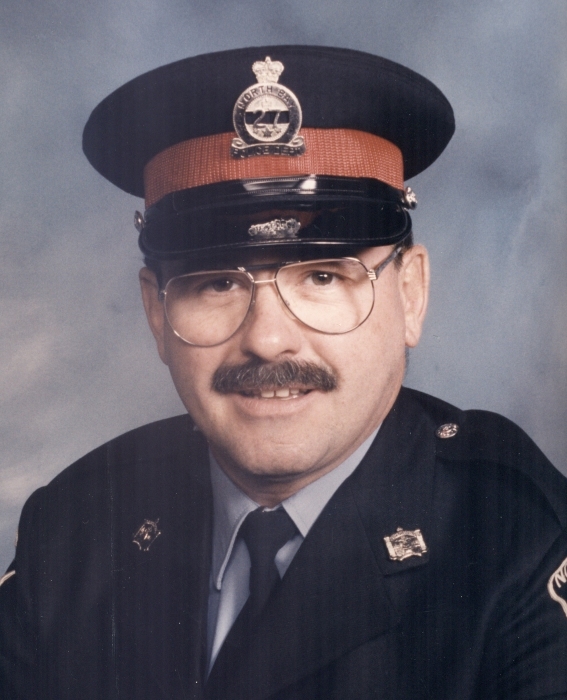 Paul was a police officer with the North Bay Police Service for 34 years. An outdoor enthusiast he enjoyed hunting & fishing and had a passion for golf. As per his wishes cremation has taken place. A private celebration of life will be held at a later date. Donations in memory of Paul can be made to the Alzheimer Society.